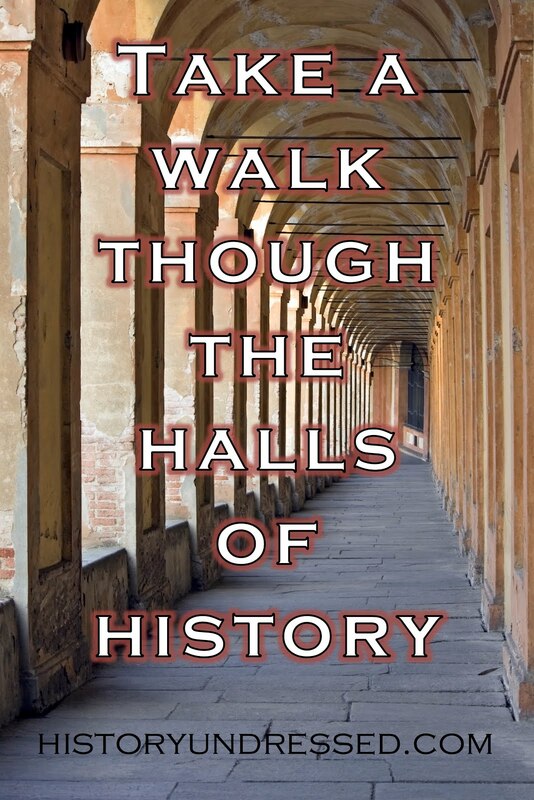 Welcome to History Undressed, guest author Celia Hayes! 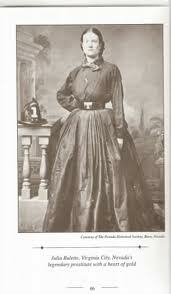 She's written a fascinating piece for us today on the America frontier. Enjoy! At the very beginning, the 1835 revolt of Texian settlers against the authority of Mexico rather resembled the American Revolution, some sixty years before – a likeness not lost on the Anglo-American Texians. Both the Colonies and the Texians were far-distant communities accustomed to manage their own affairs with a bare minimum of interference from a central governing authority. Colonists and Texians began standing on their rights as citizens, but a heavy-handed response provoked a response that spiraled into open revolt. “Since they’re trying to squash us like bugs for being rebellious, we might as give them a real rebellion and put up a fight,” summed up the attitude, in 1776 as well as 1835. The Mexican government promptly sent an army to remind the Anglo-Texan settlers of who was really in charge. The rumor that among the baggage carried along in General Martin Cos’ was 800 pairs of iron hobbles, with which to march selected Texas rebels back to Mexico did win any friends among the Anglo or Hispanic settlers in Texas, nor did the generals’ widely reported remarks that it was time to break up the foreign settlements in Texas. Cos’ army, intended to re-establish and ensure Mexican authority, instead was ignominiously beaten and sent packing late in 1835. Over the winter of 1835-36 a scratch Texan army of volunteers held two presidios guarding the southern approaches from further invasion, while representatives of the various communities met to sort out what to do next. First, they formed a shaky provisional government, and appointed Sam Houston to command the Army. Then, in scattershot fashion, they appointed three more officers to high command; it would have been farcical, if the consequences hadn’t been so dire. With no clear command, with military companies and commanders pursuing their own various plans and strategies, the Texas settlers and companies of volunteers were unprepared to face the terrible wrath of the Napoleon of the West and President of Mexico, strongman, caudillo and professional soldier, General Antonio Lopez de Santa Anna. He did not wait for spring, or the grass to grow tall enough, or the deep mud to dry out: he intended to punish this rebellious province with the utmost severity. Under his personal command, his army reached the Rio Grande at Laredo in mid-February, and laid siege to a tumbledown former mission garrisoned by a scratch force of volunteers . . . San Antonio de Valero, called simply the Alamo. But this story is about the other presidio, and another garrison of Texans and volunteers; Bahia del Espiritu Santo, or Goliad. Santa Anna detached General Don Jose Urrea and a force of about a thousand soldiers, a third of them heavy cavalry, to guard his eastern flank along the rivers and lowlands of the Gulf coast….and to mop up the Anglo-Texan garrisons at San Patricio and Goliad. A small force at San Patricio, which had embarked on ill-considered expedition to raid Matamoros was surrounded and wiped out. Then it was the turn of Colonel James Fannin with 500 men holed up at the presidio in Goliad. Those 500 represented the largest body of fighting men among the Texians – and for the moment were still at large. Three couriers arrived from William Barrett Travis’ tiny garrison in the Alamo, begging for help and reinforcements. Fannin was battered from each direction with bad news and the consequences of bad decisions, or even worse, decisions not made until they were forced upon him. He made an abortive attempt to march to San Antonio, to come to Travis’ aid… but turned back after a few miles, assuming that relief of the Alamo was just not possible. In the mean time, spurred by the knowledge that they must either fight, or go under, to death or exile, a new convention of settlers met at Washington-on-the-Brazos, and declared independence on March 2. In short time they had drafted a constitution, elected an interim government, and commissioned Sam Houston as commander of what army was left. Houston went to Gonzalez, intending to rally the settlers’ militia there and lift the siege of the Alamo. He arrived there on the very same day that news came that Santa Anna’s army had finally broken through the walls. Travis’ rag-tag collection of volunteers had held for fourteen days. They had bought time with their blood. Houston sent word to Fannin, ordering him to retreat north. But Fannin had sent out a small force to protect Anglo-Texan settlers in a nearby town, and refused to leave until he heard from them. When he finally decided to fall back, and join up with Houston, it was already too late. Urrea’s column had already made contact. Fannin and his men moved out of Goliad on March 19th, temporarily shielded by fog, but they were caught in the open, a little short of Coleto Creek. They fought in a classic hollow square, three ranks deep for a day and a night, tormented by lack of water, and the cries of the wounded. By daylight the next morning, Urrea had brought up field guns, and raked the square with grapeshot. Fannin signaled for a parley and surrendered; he and his men believing they would be permitted honorable terms. 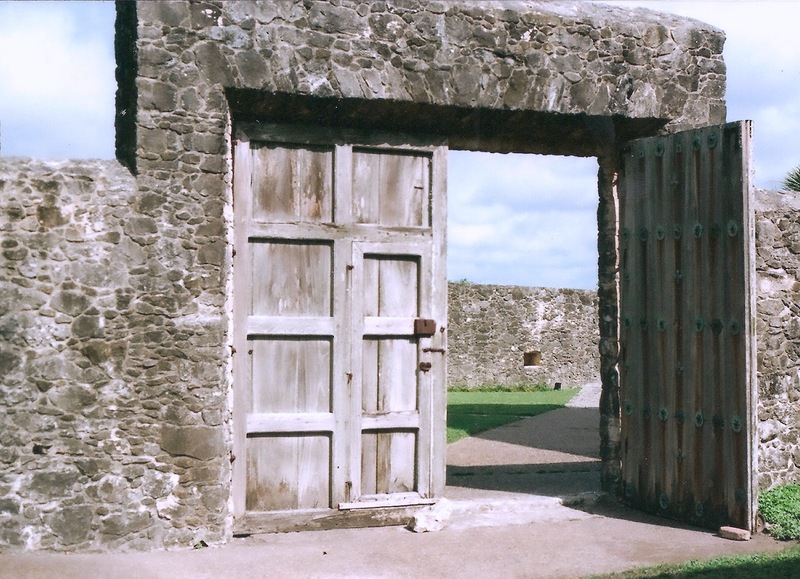 They were brought back to Goliad and held under guard in the presidio for a week, along with some Texian stragglers who had been rounded up in the neighborhood, and a party of volunteers newly arrived from the States. They were locked up in the small presidio chapel at night; under such tight conditions as they slept standing up, leaning against the stone walls or each other. Fannin and his men all assumed they would be disarmed, and sent back to the United States. Three English-speaking professional soldiers among Urreas’ officers assumed the same. They were horrified when Santa Anna sent orders that all the prisoners were to be executed. Urrea himself asked for leniency and Colonel Portillo, the commander left in charge of Goliad was personally revolted … but he obeyed orders. 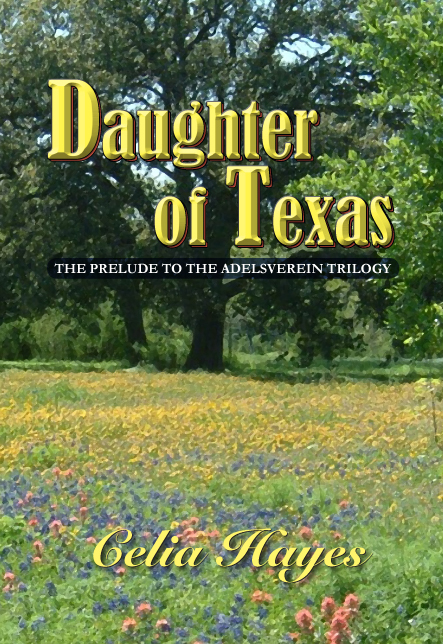 My own series about the Germans in Texas, the Adelsverein Trilogy, starts with a boy soldier escaping from the massacre, which experience affects him for the rest of his life. It is a curiosity of history that the Alamo is famous, and the Goliad hardly known outside of Texas. Writer John Willingham, who came out with a novel about James Fannin and the Goliad last year, speculates that it might have been because the siege and fall of the Alamo tapped into a kind of ‘heroic last stand of the 300 at Thermopylae’ mind-set, while the massacre of the Texians at Goliad was a sad and squalid exercise in judicial murder. *Pictures were taken on scene by the author. Even a cloistered young heiress in medieval England has her reckless moments. . .
Lord Oliver Bellecote has a way of bringing out the vixen in any woman. Any woman, that is, but Cecily Foxe, an innocent flower destined for the abbey who seems utterly immune to his charms. Or so he believes until the night they accidentally meet in the pagan ruins of Foxe Ring, and Oliver discovers that "Saint Cecily" is actually as tempting as sin. . .
Cecily would like nothing more than to forget her night of heated passion with the dangerously handsome Lord Bellecote. 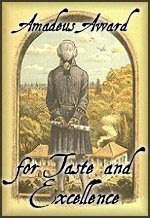 But denial proves quite impossible when she is charged with tending his every need during his stay at Fallstowe Castle. For only in his arms does she feel truly alive, despite the deadly secrets that surround his past--and threaten their tenuous future. . . I literally read this book in a day. 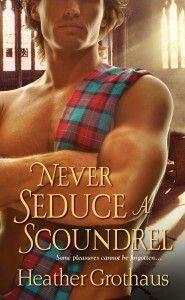 Never Seduce a Scoundrel, is a medieval romance novel that takes place in England (haven't read one of those in a long time! ), and it was jam-packed with action, conflict, sensuality. I've never read a book by Ms. Grothaus before, and I am now a fan! Can't wait for the next book in this series to release. There was a subtle humor laced into the book that had me snickering as I read--such as Cecily's thoughts on people, people being people--ie being clumsy! It was fantastic how she brought these characters to life. They were "real" people, jumping right off the page and acting out the scenes before my eyes. They were also flawed. All of them had some sort of issue to overcome, and I enjoyed their journeys to a fulfilling end. But most of all, I enjoyed the interaction between the characters and following the character's along their paths to finding out who they are. The novel is very character driven. There is a bit of a mystery to it as well. Poor Oliver and Cecily. I hate to say that I revel in novels that get the h/h together with a bang (lol) in the beginning and them they are forced apart, trying to understand their feelings for one another, and also figure themselves out before they can finally be together in the end. Its painful, but oh-so-wonderful when they finally reach the HEA. As far as historical details, the author painted an accurate picture, and did so subtly, so I could mostly fill in the blanks with my own imagination. Young Queen Elizabeth I’s path to the throne has been a perilous one, and already she faces a dangerous crisis. 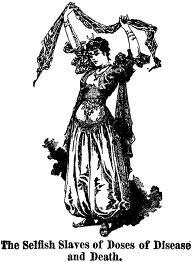 French troops have landed in Scotland to quell a rebel Protestant army, and Elizabeth fears once they are entrenched on the border, they will invade England. Isabel Thornleigh has returned to London from the New World with her Spanish husband, Carlos Valverde, and their young son. Ever the queen’s loyal servant, Isabel is recruited to smuggle money to the Scottish rebels. Yet Elizabeth’s trust only goes so far—Isabel’s son will be the queen’s pampered hostage until she completes her mission. Matters grow worse when Isabel’s husband is engaged as military advisor to the French, putting the couple on opposite sides in a deadly cold war. Applause is due to Ms. Kyle. THE QUEEN'S GAMBLE, was a riveting, dramatic tale. A story filled with intrigue, drama, subtle sensuality and a daring, evocative heroine. I couldn't turn the pages fast enough. I have long been a lover, and more than a little bit obsessed with the Tudor rulers. I felt that the author vividly captured the personality and bearing of one of England's most notorious female rulers, Elizabeth I. There is so much going on within this story. So much conflict that I wasn't sure how it would turn out--even had my doubts about the ending. Our heroine's family is close to this current Queen. But her own husband is Spanish--a country the Queen is currently not on good terms with. To make matters worse, Isabel's and her husband have made their home in the new world. And the Queen well knows what is at stake for Isabel as she takes on the dubious tasks set on her by Cecil and the Queen--and takes her son as collateral. Her son's life could be at stake. Even worse--her husband is now working on the opposite side of the fence so to speak. Isabel is once gutsy woman, who is willing to go to the very edge for her family and what she believes in. This is definitely a recommended read. The love between Isabel and Carlos will have you melting, all while you chew your nails off to find out what happens in the end. I would like to welcome back to History Undressed, by dear friend, Kathleen Bittner-Roth! She has written yet another fascinating post for us. Enjoy! Whether reading a historical romance or writing one, those resplendent stone manor houses (and castles) serve not only as a backdrop for the players, but the stone buildings often become characters unto themselves. A mood can instantly be conjured by the description of a dwelling. Imagine your wounded hero riding up the long, tree-lined drive to his boyhood home, returning after years in absentia. As the stark grey fortress looms ahead, its cold stone walls filled with dark secrets, his past rises up to haunt him. 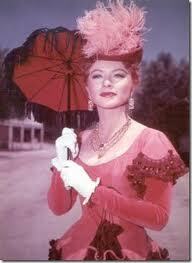 Or what of a heroine, contracted at birth to marry a brooding duke she detests. Sick with anguish, she arrives in the ducal carriage he’s provided, only to spy a stone manor house that, despite its grand size, bears warmth and invitation, its stone walls a soft, welcoming honey tone flanked by beds of colorful spring flowers. Who is this man to have created such a place, she wonders? The history of building with stone in England is a story unto itself. The tradition goes back a thousand years. When the Normans conquered Britain in 1066, they constructed castles, monasteries and royal houses out of stone. Stone had not the fire risk of the old pier and beam buildings, and it could be carved to create artful ornamentation, the more intricate and extensive the carvings, the greater the standing. Soon, stone became a symbol of high status. The grandest of stones was imported from France or carted across the countryside from quarries established as the finest in England. The way the stone was laid and the quality of the work was just as important as the stone itself and was directly related to the status of the owner. After a time, stone homes became common as quarries sprang up in many towns and villages. A tour through a few stone quarries gave me a different slant when writing historical romance. I learned that in the Costwolds, for instance, it’s the rich, honey tones that prevail. 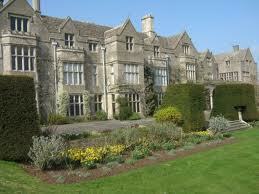 I learned those gray stone manor houses were usually Barnack stone, dug from quarries in Northamptonshire. Yet another honey-toned stone is the Chilmark, found in Wiltshire. 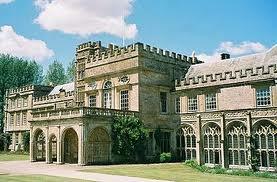 Stone is still favored today in England, with Limestone, granite and sandstone being the three chief building stones. Did you know stone is found under about twenty-one feet of clay! I doubt I could write a story without including some kind of a dwelling that fleshes out my characters in one way or another. What about you? 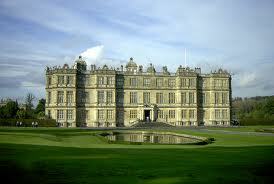 Do you find the homes your heroes and heroines live play an integral part in the story you are writing or reading? I’d love to hear from you. 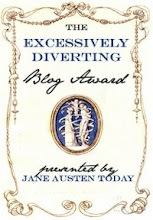 Today on History Undressed, I'd like to welcome a new guest author, Diva Jefferson. 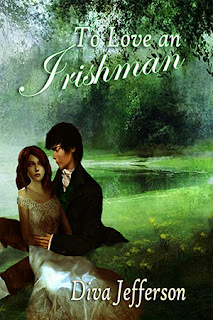 Diva writes Irish historical romance and has shared a bit of history behind her book, TO LOVE AN IRISHMAN. Enjoy! Imagine your life in a luscious, green world full of ancient stories, magic, and mystery. You have a unique language only to your people, a diverse religion, and a divine unity with your neighbors. Then you realize the wonderful sphere around you is torn asunder. Soon Penal Laws prevent you from practicing your religion, speaking your language, and owning your own land. In the early 1800s (before the Great Famine in the 1840s), Ireland was a place full of opportunity for only a privileged few, and a large holder of oppression. English rulers dictated their countrymen to move onto greener pastures, and gave them wide expanses of Irish land to do with what they will. This was called land tenure. Land was a source of income, a source of political power, and a great source of food, fuel, space, and sport. These landowners, or land agents, took over their designated properties, forcing the Irish people from their homes, sometimes paying them to emigrate. Those who had nowhere to go were carted to workhouses or worked in the quarries. Workhouses or they were called ‘Houses of Industry’ before 1838, were disease-infested, prison-like places of work where people without means to provide for themselves lived. Here, men broke stones and women knitted for low wages. It was definitely not a great way spend a life. Those who managed to keep their land were subject to very high taxes (and rents) based solely on their holdings. The amount of that tax, or ‘tithe’, funded the Church of Ireland, the county government, workhouses, dispensaries (medical facilities), Trinity College, and endowed schools. Many threats of eviction were held over the people’s heads and livestock were seized if rents were unpaid. Rents were usually collected twice a year, generally in hotels. Anyone who became evicted and indebted to their land agents was publicly humiliated. This is a reason why so many Irish chose to become clergymen because they were excluded from this taxing. Others who escaped workhouses became farmers. Tenant farmers, paid taxes and lived on the land. They were sometimes referred to as ‘managers’. Farm laborers were paid no more than eight pence a day and given small plots of land with which to feed their families. Family farms were the most popular type, and they were twenty-five acres or more. Most Irish farms grew potatoes, but cabbage, onions, wheat, barley, oats, and flax were also commonly grown as well as raising livestock. A half-acre could feed a whole family for a year. All other produce and livestock would be sold at market places in large cities or shipped to the Americas and the British Isles. Life on a farm is hard work done every day. Learn more about farming equipment and techniques in my book To Love An Irishman. One of the men stood out from the others. His clothing was obviously expensive, despite its poor condition. Aveline stood quietly and observed him through the crack of the door, wondering who he was. He discarded his brown swallowtail coat and threw it over the stall wall, leaving only a green cotton waistcoat and a worn, white linen shirt covering his upper torso. The shirt hung open, exposing the man’s broad chest, dusted with dark hair. The waistcoat, also unbuttoned, trailed down toward brown corduroy trousers that fit snugly around his muscled thighs. His clothes were unmarked by patches, though stains from dirt surrounded both knees. He wore brown stockings with black leather brogues. She wanted to stand in the doorway and watch him sing for the rest of the day. His voice was wonderful and its warm tone washed through her. But she knew the longer she remained the more likely it was she’d be seen. As an eavesdropper, she had seen and learned more information than her father would ever have allowed. That is why she loved doing it. The time grew late and she decided to leave. She’d introduce herself when she wouldn’t be an interruption. Her success on the farm revolved around their good opinion of her. Easing away, she stumbled and grabbed a hold of the door, causing it to creak. Suddenly, the Irishman looked directly at her. The grin she’d seen on his face just moments before turned to a scowl. She did not stick around to see what he did next, but ran in the direction of the farmhouse. He caught her arm in three quick strides, grabbed her wrist, and spoke to her in Gaelic as she turned around, gasping for breath. His language was beautiful. She just wished she understood what he was trying to say. Excerpt from To Love An Irishman written by Diva Jefferson. Please feel free to contact the author on her website: www.divajefferson.com. Today on History Undressed, I'd like to welcome back, Nancy Lee Badger! 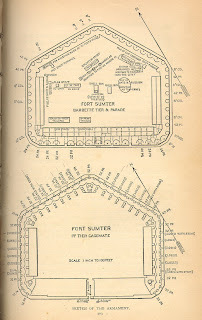 She's written a great post for us today on Fort Sumter. And I must say, I love the title of her new book! A funny thing happened one year ago this month while celebrating my husband’s birthday. We took a few days off and headed south to Charleston, South Carolina. The harbor is famous for the various forts and battle scenes made infamous during The War Between The States, also known on its 150th anniversary as The Civil War. As history buffs, and as descendants of those who fought in the war, we wanted to see where it all began. 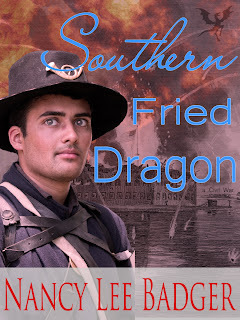 Little did I know that the experience would culminate in SOUTHERN FRIED DRAGON, my latest paranormal romance. We toured the first of two museums to get a flavor for what the ferry ride would offer later. We saw grainy black & white photos, and drawings depicting life in the city of Charleston before talk of secession made its way to its halls. The city is nestled in a protective harbor made safe by the many forts lining the waterway. Begun in 1829 while memories of the war of independence from the British were still fresh, the fort was still not nearly complete when the threat of secession grew. The Federal government’s huge five-sided fort on a man-made island of stone was built to protect against possible seafaring attacks from foreign governments or pirates. No one would have foreseen its explosive demise. 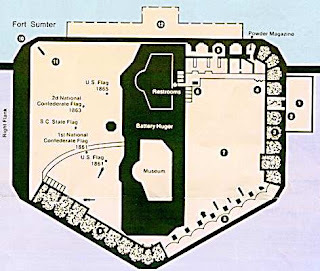 My book’s hero, a federal officer of Scottish descent, is stationed at Fort Moultrie when word comes that a special secession convention had voted unanimously to secede from the union. I describe how under the cover of darkness he and his men secretly transferred from indefensible Fort Moultrie and took over the partially built Fort Sumter. In theory, Fort Sumter was a well thought out construction project. 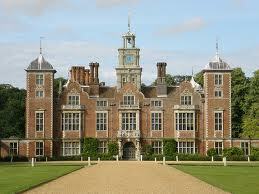 Three stories of thick brick and stone, it was immense for the times. However, it was built to withstand bombardments from passing ships, whose low-slung cannons could not breach the inner sanctum. Unfortunately, the southern secession forces took over several batteries that stood on land less than a mile away. Their shells easily flew up and over the walls, landing inside the fort where they did horrific damage. Luckily, no lives were lost, but return fire was sparse. The Federal soldiers were small in number and most cannons faced the open sea. They had no fuses to explode the cannon balls and their food was nearly gone. Surrender came within thirty-four hours of the first shell. The boat ride out into the harbor was pleasant. When we walked along the wharf and stared at what was left of the walls, we were silenced by what we saw. Even though little is left of the original structure, our visit allowed us to walk through the Sally Port and into the inner parade ground. 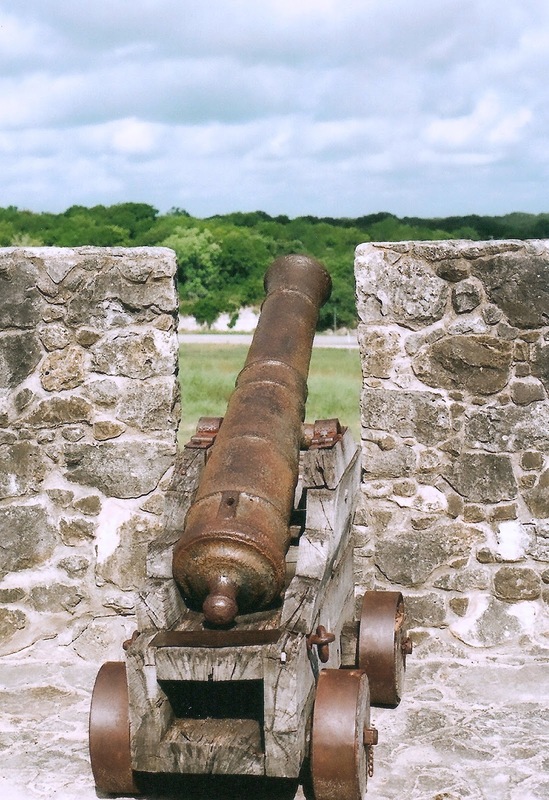 Dozens of cannons were on display surrounded by battered walls, broken staircases, and decrepit barracks. The section called Battery Huger, added years later, contains another museum and a tattered flag that once flew above the fort. A grassy overlook allows visitors to look toward the sea and imagine the soldiers as they waited for supply ships that never arrived. The fort’s five-foot-thick walls still stand, but only the first floor. Parts of the second level are in ruin, but the entire third level was blown away as the war progressed and after the Confederates took control of the grounds. There is little left of the enlisted men’s barracks, or the officer’s quarters. Though the fort was 90% complete by the time the Federal soldiers were fired upon and held ports for 135 guns and could house a garrison of 650 men, only about nine or ten casement guns returned fire. Only 85 men stood against thousands during April 12 through April 14th, the beginning of what became four years of Civil War. Dru wanted to take flight and find Shaw. Was he all right? Where could he and his fellow soldiers have gone? Would she ever see him again? She missed his kisses, but wanted him to stay safe. Her heartbeat pounded in her human chest when she dreamed of him. Her body softened when she remembered his taste, his smell, and the feel of his naked chest as he rose over her. Why had Mistress Cumberland interrupted them? Her body had made ready for his, welcoming him. Frustration filled her nights since he kissed her cheek and returned to Sullivan Island. Now? 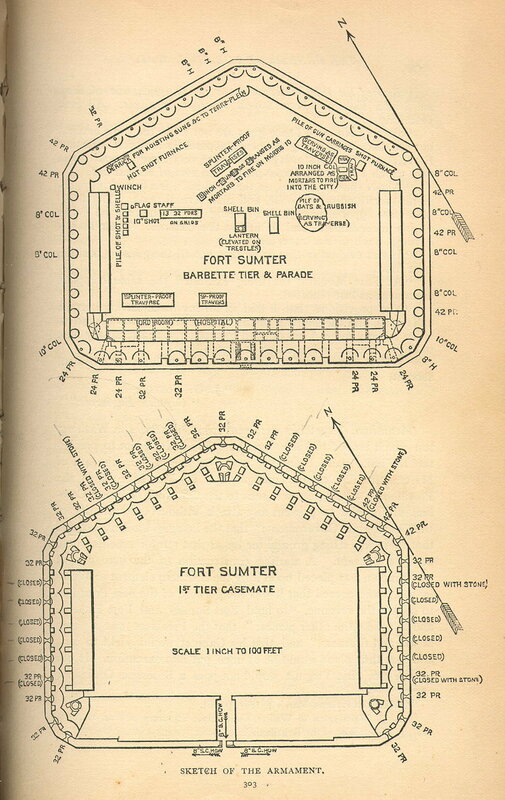 He’d left Fort Moultrie for places unknown. Maggie removed a large tray of biscuits from the oven, then wiped her hands on her apron. She sighed as she kissed Dru on the cheek, then trudged up the back stairs. The peck on the cheek, so similar to Shaw’s kiss, did not ignite her senses the way they sparked to life when Shaw drew near. Dru hefted the pitcher of cider, foregoing the ale. Men had no need to get in their cups tonight. Cradling a basket filled with Maggie’s biscuits, she pushed through the door separating the hot kitchen from the much cooler dining hall. As she walked among the tables, a half a dozen men nodded. She filled their tankards and offered biscuits. Her heightened dragon hearing caught their conversation. The tone sounded tinged with anger, while some chuckled. “Aye, they turned tail and ran,” one man said. “Are you talking ‘bout the soldiers from Fort Moultrie?” Dru asked, biting her bottom lip for her impertinence. “We are, woman. The soldier boys are cowards.” Laughter filled the dining hall. Dru forced a smile, though inside she worried about Shaw. The fort was aflame? Where was he? “Where have they gone, do ye suppose?” she asked, pouring more cider to delay her return to the kitchen. She would rather take flight, follow Shaw’s scent, and carry him to safety. Maybe, all the way back to Scotland. “I have no idea,” one man said, before downing his cider. All heads turned toward a spry old fisherman who had settled by the front window. Dru recognized him as the kind man who’d delivered Shaw’s gift. He sat alone with a cup of tea. “What do you know, Joseph?” A large dockworker stood and tossed the man a hot biscuit. Joseph caught it on the fly without moving more than one arm. “I’ve me sources, boys.” Joseph smiled. Dru walked over to his table and poured him a tankard of cider. She would not return to the kitchen, even to reheat his tea, until she heard what he knew about the soldiers. “Moved where?” asked another patron. Everyone went quiet, as if Joseph was a storyteller, guiding the story to its mysterious conclusion. After growing up in Huntington, New York, and raising two handsome sons in New Hampshire, Nancy moved to North Carolina where she writes full-time. She and her family continue to volunteer at the New Hampshire Highland Games each fall. 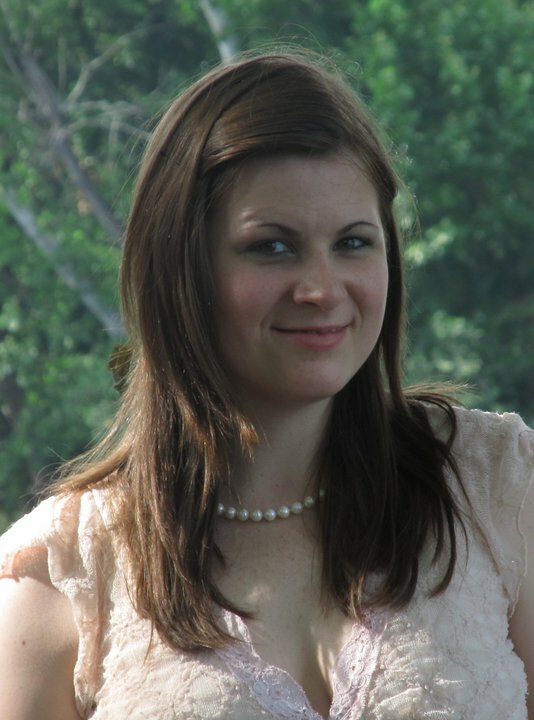 Nancy is a member of RWA, Heart of Carolina Romance Writers, Fantasy-Futuristic & Paranormal Romance Writers, and the Celtic Heart Romance Writers. 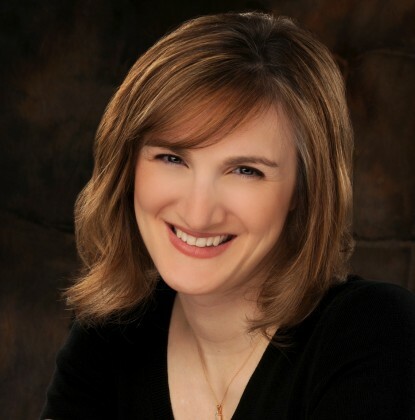 Nancy also writes romantic suspense as Nancy Lennea and is a proud Army Mom. Nancy’s earlier release, DRAGON IN THE MIST, recently won 1st Place in the Silken Sands Self-Published STARS Literary Contest hosted by the Gulf Coast RWA Chapter. 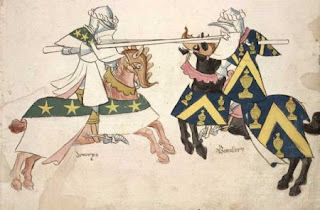 Guest Author Amanda Forester -- Fact or Fiction: French Knights in Medieval Scotland? Fact or Fiction: French Knights in Medieval Scotland? One thing I enjoy about writing historical fiction is doing the research. As a history buff, I enjoy learning new historical facts. For example, I was surprised to learn that Scotland was almost conquered by the English in 1356. Okay, that’s not terribly surprising since the Scots were almost conquered by the English many times throughout history, but this particular time the French were to blame. Let me set the stage. In 1346, Scotland’s King David (the son of Robert the Bruce) invaded England but was defeated at the Battle of Neville’s Cross and taken prisoner by King Edward III. Nine years later, David was still locked in the Tower of London while the two countries slowly negotiated the ransom to secure his release. On the eve of a settlement, France entered the picture with a tempting offer. The French were currently at war with England (in what was later known as the Hundred Year’s War), and had no interest in seeing peace on the British Isle. So a legion of French knights sailed off to Scotland and offered 40,000 moutons of gold if Scotland would agree to go to war with England. In 1355 the Scots and French invaded northern England. Unfortunately, they underestimated England’s reserve and at the sight of 80,000 experienced English troops, the French decided it was time to go home and left the Scots to their fate. Now the Scots were in a tight spot. They retreated, but King Edward declared himself the King of Scotland and threatened to invade. The Scots realized they could not survive open warfare against the English, and so relied instead on a bit of trickery. They sent the Earl of Douglas to negotiate their surrender, and gained 10 days of a truce. During this time, the Scots retreated back into the North, taking every scrap of food with them. When King Edward finally marched into Scotland he found it devoid of all living inhabitants. Unable to live off the land, Edward was forced to rely on dwindling supplies. Edward was enraged at being deceived by Douglas and in vengeance marched into Scotland, burning and destroying everything in his wake. This was later known as Burnt Candlemas. However, Edward’s wrath was short lived, as his soldiers were nearing starvation. The English king was forced to retreat, and the Scots made the most of harassing the hungry troops as they fled back to England. This wonderful bit of history inspired my second and third books in my Highlander series. In TRUE HIGHLAND SPIRIT the hero is in fact a French knight. I’m sure readers will probably think I’ve allowed my imagination to run wild. French knights in Scotland? Preposterous! And yet, that part of the book is actually based on fact! TRUE HIGHLAND SPIRIT chronicles the initial attack by the French and Scots and the aftermath. With the independence of Scotland at stake, who can save them? My heroine of course! In my book Morrigan develops the plan to repel the English out of Scotland. And that, my friends, is pure fiction. This is the best part about writing historical fiction for me - using the rich historical setting to spark the imagination and create interesting characters through whose escapades I can live during fascinating times in history… all without giving up hot showers or central heating! Happy reading! 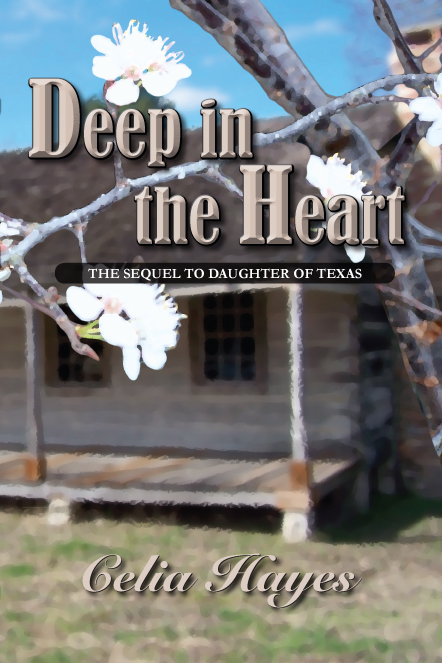 Do you enjoy novels that bring the history to life in the lives of the characters? What is the right balance for you between character, plot, and history lesson? Comment on the blog for a chance to win a copy of TRUE HIGHLAND SPIRIT. Morrigan McNab learned to survive with a sword in her hand. 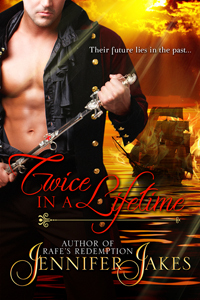 Taking command, she is determined to protect her impoverished clan, no matter the cost. When an elusive French knight offers gold to fight against England, she joins the call to arms. Sparks fly on the battlefield as a forbidden passion smolders between Morrigan and Sir Dragonet. 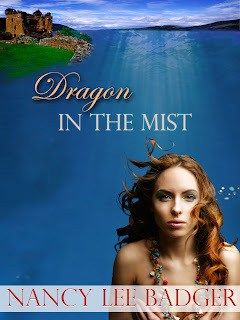 Yet Sir Dragonet holds a secret that will destroy the hope for a life together, and will make them rivals on a dangerous quest for a mysterious relic. As they fight beside each other against the English, and against each other to find the treasure, their love becomes a greater force than either can control. 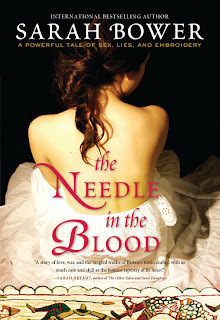 Welcome to History Undressed, Sarah Bower, author of Needle in the Blood--which I have sitting on my TBR pile, cannot wait to read it! Today she is giving us a bit of history behind the book. Leave a comment for your chance to win a copy. Thank you for inviting me on to your blog to talk about my new novel, THE NEEDLE IN THE BLOOD. I’d like to set the book in its historical context by telling you something about the Bayeux Tapestry. Given how we like to celebrate our failures in this country (Dunkirk, the Charge of the Light Brigade), it isn’t surprising that the one historical date every school child knows is 1066, the year in which these islands were conquered by William, Duke of Normandy, francophone descendant of the legendary Roland/Odo/Orlando (depending on who is writing about him) who had moved from Scandinavia to settle in northern France about a hundred years earlier. Although the Normans were, without doubt, brutal, ruthless and destructive in the way they went about their conquest, they also planned shrewdly for the long term. 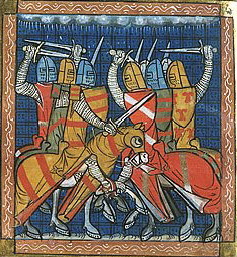 Despite incidents of staggering violence such as the Harrying of York in 1069 to 70, when farm animals as well as people were slaughtered wholesale, William’s main weapon was to pension off former Anglo Saxon leaders, buying their loyalty with gifts of land, and to encourage the Norman governors with whom he replaced them to marry native women and facilitate a blending of cultures. This is why, although we still speak of ourselves as an Anglo Saxon people, and use this concept to explain ourselves to ourselves in all kinds of ways, from our drinking habits to our economic structures, much of our most famous heritage – our castles and cathedrals, our hereditary monarchy – is attributable to the Norman Conquest. So we remember 1066, not just as a glorious failure but also as a foundational date in the modern history of Britain. William may have been a tough soldier, a merciless disciplinarian whose wife and children all fell out with him, but he also abolished slavery and the death penalty in England and Wales, and he had an affection for hares, whose killing was forbidden under his hunting statutes. The contradictions of the history inhere in the character of the Conqueror himself. 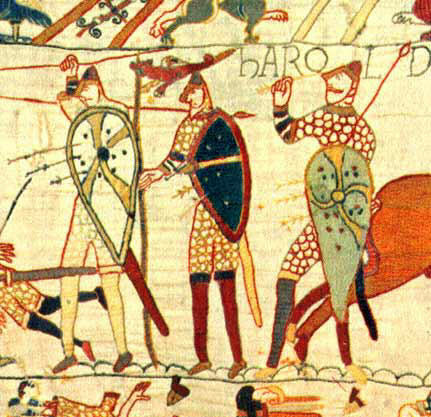 The Bayeux Tapestry is the best known record of the Conquest, and the events leading up to it which William believed justified his claim to the English throne after the death of Edward the Confessor without heirs. Its central narrative is a shameless piece of Norman propaganda, presenting William as the rightful heir, wronged and cheated by a duplicitous Harold Godwinson. Even its most familiar image, of King Harold being killed by a shot in the eye, is more symbolism than truth. The putting out of an eye was a Norman punishment for theft. Harold probably met a much grizzlier end, but the truth of that did not matter to the Tapestry’s Norman patron so much as the symbolic message sent out by showing him losing an eye. Once I began studying the Tapestry while researching THE NEEDLE IN THE BLOOD, however, I quickly discovered that, like the story of the Conquest itself, nothing is as straightforward and clear cut as it seems. Even this scene is ambiguous, because the caption, ‘hic haroldus interfectus est’ could refer to another Anglo Saxon soldier, shown felled by an axe, a little to the right of the famous image of the man shot in the eye. Perhaps somebody has attempted to bear witness to the truth while still paying lip service to the propaganda. The Bayeux Tapestry is both utterly familiar and completely mysterious. 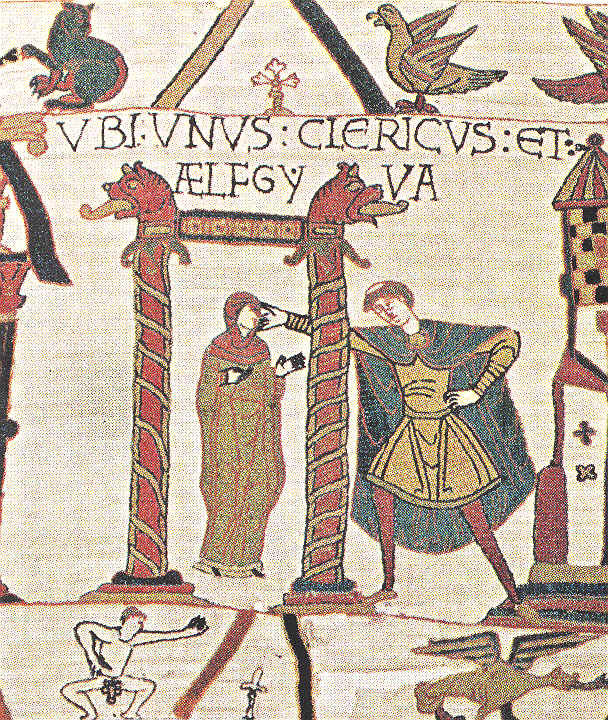 Although most scholars believe Bishop Odo of Bayeux, William’s half brother, to have been its patron, there is only circumstantial evidence for this, arising from the way he is portrayed in the narrative and the fact that the Tapestry had its first showing at the dedication of Bayeux Cathedral in 1077. Although it is likely the Tapestry was made in England, because England was the go-to place for embroidery in the mid-eleventh century, again, we do not know for sure. Looking at the images themselves, while the main narrative is fairly – but not entirely – straightforward, the top and bottom margins are very strange indeed. They contain images of heraldic beasts, illustrations from Aesop’s Fables, violence far more graphic than anything found in the main narrative and several overtly sexual scenes. Nothing in the margins seems to bear a direct relation to the main narrative; clearly there is a conversation going on here, perhaps between the Norman patron and his English embroiderers. Or perhaps there is no conversation at all, but the ‘official’ Tapestry on one level and coded messages of resistance on another. I was attracted by the idea of the Tapestry as an expression of tension between the patron and the conquered embroiderers, between the celibate bishop and a workshop full of women, and also by another mysterious, and much discussed, image, that of Aelfgyva and the priest. Again, nobody has been able to identify these two figures for certain, and you can see immediately that the priest’s apparent act of violence towards Aelfgyva may not be all it seems. Look at the way in which the naked figure in the lower margin mirrors his action. Could it be that these two are lovers rather than enemies? This image, and its ambiguity, are central to THE NEEDLE IN THE BLOOD, which is both a love story and a story about how the trauma of conquest affects conquerors as well as conquered. I hope my readers love Odo and Gytha as much as I do, but I also hope the novel sheds some light on how England became England and how, as we so enjoy doing, we managed to make a triumph out of what remains our biggest disaster to date. If you would like to know more, please visit THE NEEDLE IN THE BLOOD Facebook page where you will find a bibliography of the texts I used in my research, links to other blogs – oh, and evidence of the role Batman played in the Norman Conquest!